You know how they say time passes more quickly as you get older? I’m only in my mid-twenties and I’m feeling it. I don’t even hate Mondays anymore, because I know the weekend will come (and then be over again) in what will feel like only a couple of moments. What is happening?? Existential crisis aside, this week was okay, but unfortunately included a few extra treats at home that I didn’t plan on. I’m still avoiding all the office treats, but that doesn’t mean as much if I turn down the fresh-baked cookies at work only to purchase one on my way home… Most of the blame for the bad choices is squarely on me, but I’m blaming a bit on PMS and thinking about food too much over the last holiday. Tracked it, trying to move up and on, but still analyzing, as is my personality. When I got back from Michigan, I felt that too much time and energy had been spent on food - what to eat, how much to eat, how much I’d eaten - despite a good weigh-in. So when I got back, I was sick of making food decisions. Bottom line, I need to think of a better strategy for the next holiday, which will be starting this Wednesday night. Zero new ideas so far, besides “eat everything.” I’d like to eat more intuitively, but don’t know how. I’m open to suggestions. I was moping around about not being in the 170s yet, when J looked at my charts and pointed out that I have lost twelve pounds of fat. If I’m off about how many calories I burn every day, or if that number has decreased in the last ten pounds lost, then that actually makes sense. Twelve pounds seems like more than ten. Maybe my goal should be to have less than 70 pounds of fat on me instead of weighing in the 170s. J also made a chart, because he likes making charts and he's helpful like that. 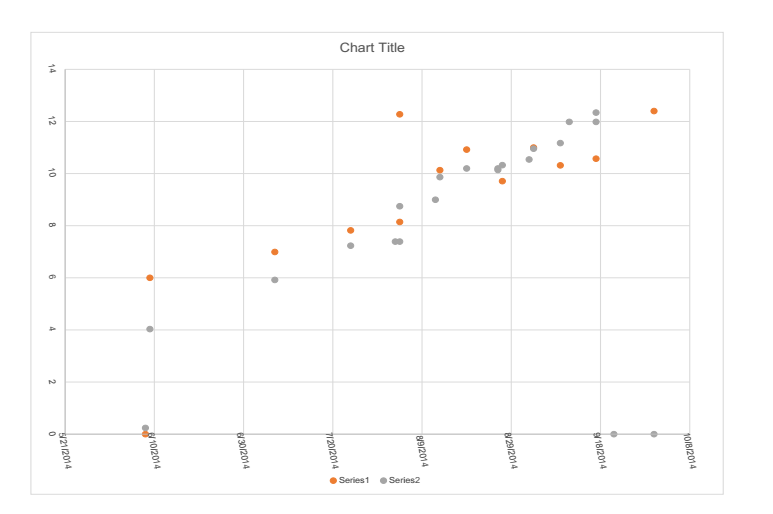 The orange dots show fat loss over time, and the grey dots represent calorie deficits, assuming a lower metabolic rate of 1800. As you can see, they match up pretty well, implying that my whining isn't warranted since I am, in fact, losing fat at a reasonable rate for what I'm eating. No matter what though, I’m definitely getting too focused on the scale. Weighing in every day only helps if I can take the number in its context, and right now I’m not doing that. So for the foreseeable future, I will only weigh myself on weigh-in day once a week. First, that raspberry turtle gif is the cutest thing I've seen today. Second, as far as "eating intuitively" and enjoying yourself on a holiday without wrecking your progress, I think the most important strategy is to pick out what matters most to you. If it's something you can get normally, like pizza (or even something healthier like a boring salad), skip it or have a smaller portion. If it's something like your mom's special chocolate cake that she only makes for holidays and you look forward to it all year, go for it. Same if it's a regular vacation - sorry, didn't see where it is you're going - but if you're at a buffet or somewhere with a ton of choices, pick out a few select things that look the best. You can having anything you want, just not everything you want. I know, I can't stop looking at it eat! Thanks for the advice, definitely a good mentality to pick out the best things and leave the rest! I've been able to adopt that thought process at work, where I've realized that it's never worth it, but I'm still working on everywhere else. I was with family the last few days - it went better than it might have, but not as good as it should have. P.S. I love your workouts!